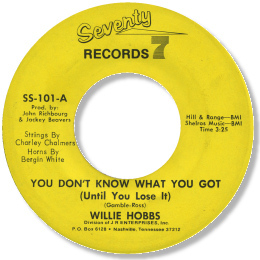 Willie Hobbs was born in Doerun Georgia on 1 Sept 1944, but started his musical career with the engagingly eccentric Major Bill Smith in Texas, with tracks that may well have been cut in Ashville, NC by Dave Smith (no relation). Thanks to the Major's habitual bewildering issue policies it’s almost impossible to work out the complete series of releases that Hobbs had, but the music was pretty good. His version of the Major’s staple “Under The Pines” ranks among the best, while his cut to Paul Kelly’s “Starving For Love” shows the Hobbs was no slouch at the finer points of soul singing. I like his version of Bland's “Cry Cry Cry” a lot too, even if the arrangement follows the original a little slavishly. But as ever the ballads are the ones to watch for, and Hobbs cut a couple or real beauties at that time. The unissued demo “One Woman Lover” is quite superb, with some lovely church style piano (albeit slightly out of tune) behind a really strong Hobbs vocal. Even better, thanks to a full production and some very tasty guitar fills, is A Woman Is A Nice Thing – imagine that on a Goldwax label and everybody would be raving about it. Although Hobbs switched to Silver Fox, his long time collaborator, producer Dave Smith, still carried out the production duties, and the quality remained pretty high. The mid-paced beat ballad “Yes My Goodness Yes” is the most famous of these tracks, and in truth it’s not bad. But I prefer the “Can I Change My Mind” riffs on “Where The Sweetness Lies” as Hobbs sounds so much more relaxed. However, there is no doubt that Hobbs did his best work for John Richbourg over the next few years. 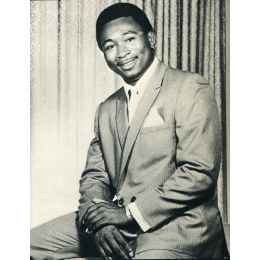 Between them Hobbs and Richbourg – with some production help from Jackey Beavers – turned Jerry Butler’s fine uptown ballad You Don’t Know What You Got into a southern soul/blues deep gem. The flip is good too. Sessions at Fame produced a fine update to “I Know I’m Gonna Miss You”, a smashing version of Bettye Crutcher’s wonderfully melodic “A Penny For Yor Thoughts”, but the best 45 was the coupling of the deep Nobody Has To Tell Me and the excellent “(Please) Don’t Let Me Down” with Hobbs’ voice taking on sone deliberative and evocative bluesy touches. Many people take Judge Of Hearts as Hobbs’ best ever disc, thanks to his searing falsetto shrieks and intense testifying, and the song’s building climax – and I wouldn’t disagree. Dave Smith and Hobbs retained considerable control over Hobbs’s recordings, and reissued some of his earlier material via the North Carolina Bandit label in the early 70s. They cut some new material as well, the best undoubtedly being the excellent, heartfelt ballad I Love You More Than You'll Ever Know. 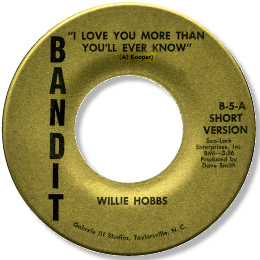 Hobbs isn’t as well known in southern soul circles as he should be. This may well be a result of the lack of reissues of his work, but in a long and distinguished career he cut some really fine music as you can hear. 1. 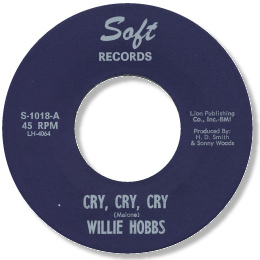 The reissue of some of Hobbs' early work on LPs like "Major Bill's Texas Soul" (CHARLY UK CRB 1167) contain versions of some songs that are different from the original 45s. 2. "Judge Of Hearts" can be found on the Charly CD "The Sound Stage 7 Story" (CD Charly 191) and "Where Did I Go Wrong" and "How Could My Baby Know" can be found on the Charly double CD with the same title (CD LAB 103). Thanks to Pete Nickols for the CD info.